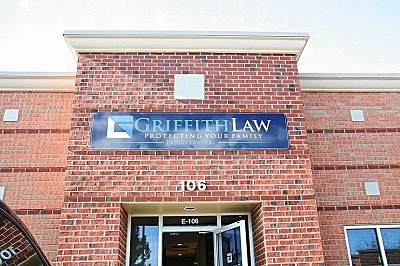 The attorneys with GriffithLaw have many years of experience representing seriously injured people in Franklin, Nashville, Brentwood, Cool Springs, Williamson County and across Middle Tennessee. We help individuals and their families legally recover after suffering injuries from car and truck accidents, injuries on dangerous properties, motorcycle accidents, dog bites and more. Our Franklin office is conveniently located in the commercial center of the Cool Springs corridor, near the Cool Springs Galleria mall. Founding attorney John Griffith is a lifelong Tennessean who believes in creating strong personal and professional relationships with every client and in the local communities we serve. We regularly work with medical experts, economic experts, and other professionals to secure success for our clients. As a former insurance claims adjuster, John understands how insurance companies attempt to settle claims in their favor. Now, we use that knowledge to stand up for Tennessee individuals and families who don’t have a voice. If you have questions don’t hesitate to reach out to our Franklin law firm at 615-807-7900. Follow I-65 S to Cool Springs Boulevard in Franklin. Take exit 68B from I-65 S, and merge onto Cool Springs Boulevard. Turn right onto Mallory Lane. Turn left onto Mallory Station Road. Turn left onto Seaboard Lane, and continue for a short distance. Turn left into the parking area, and look for our office at Suite E106. Head west on I-40 W.
Take exit 213A for I-440 W toward Memphis, and continue onto I-440 W.
Take exit 5 for I-65 S/I-65 N toward Huntsville/Nashville. Follow signs for Interstate 65 S/Huntsville, and merge onto I-65 S.
Take exit 68B for Cool Springs Boulevard W.
Merge onto Cool Springs Boulevard. Follow I-65 N to Cool Springs Boulevard in Franklin. Take exit 68B for Cool Springs Boulevard W, and merge onto Cool Springs Boulevard. Head northeast on I-40 E.
Take exit 206 for I-440 E toward Knoxville, and continue onto I-440. Take exit 5 to merge onto I-65 S toward Huntsville. From our Franklin law office, we help individuals and families legally recover after car accidents, truck accidents, injuries on dangerous properties, and more. At GriffithLaw, we are always trying to improve our service to our clients like you. We take pride in the reputation we have built with the community and love receiving positive feedback in person and online. Our reviews speak to the dedication our team has to our clients and the concern we have for your well-being. If you have worked with our firm in the past, we would love to hear about your experience! Before you give any statement to the insurance adjuster, you must read this book. Attorney John Griffith explains everything you must know for your injury case.